After almost twoo weeks from the official launch of the Threadripper 2000-series, AMD finally decided to slash the prices for the first generation Threadrippers. The best deal of all three processors seems to be the 1920X, which got a 50% reduction, while the 1920X gets a ~40% lower MSRP, with the high-end 1950X getting only a 25% price drop. 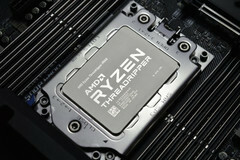 AMD launched the second gen Ryzen Threadripper series almost two weeks ago with prices that put even some of Intel’s server-grade processors to shame. As always, the prices for the previous gen are primed for nice cuts whenever newer models get launched, but it took a minute for AMD to announce the actual drops. Last year’s top of the line Threadripper 1950X that had a US$999 MSRP is now available for as low as US$718 from Amazon. Compared to what is available around that price point and considering the sheer power of the 16 cores / 32 threads, this is really a no-brainer for those who need extra multi-threaded power in graphics intensive apps. The 1920X and 1900X models are also getting slashed prices, as the MSRP for the 12-core dropped from US$799 to US$399, and the 8-core should now cost US$299 instead of US$549. For now, Amazon is offering the 192X for US$463 and the 1900X for US$316. Keep in mind that these powerful processors need the X399 chipset and some serious liquid cooling to unleash their potential, so that may add around US$400 to the total, in case of an upgrade.